Events are a wonderful way for your organization to introduce itself to wider audiences and meet new potential clients. Through conversations with other attendees and demonstrations or explanations of the product or service you provide, you’ll form connections that could have a lasting and positive impact on your business. Save registrants’ information in your CRM. Incorporate merchandise into your event registration. Share your event website on social media. When they register for your event, your attendees are already expressing significant interest in your business. To ensure that you stay in contact with them after the conclusion of your event, it’s a smart move to choose an event registration software system that automatically saves your registrants’ information in your CRM. 1. Save registrants’ information in your CRM. When your attendees register for your event, they’ve already proven their interest in what your organization provides. It’s likely that you’ll want to reach out to them in the future! To ensure that you stay in contact with your event registrants, look for event management software that transfers their information directly to your CRM. Manage your venue, speakers, and other event details. While events are highly rewarding, planning them requires a lot of work! The process is easier when you don’t have to switch between multiple software systems. Sell tickets and gather registrants’ information. Using a platform native to your CRM ensures that you’ll have their information so that you can reach out in the future. Create, manage, and provide your attendees with event agendas and schedules. Keep your attendees informed and updated on the highlights of the event you have planned by creating and sharing schedules with your guests. If your business is already using a major CRM such as Salesforce, you’ll be able to benefit from the convenience and efficiency of a native event management software solution. 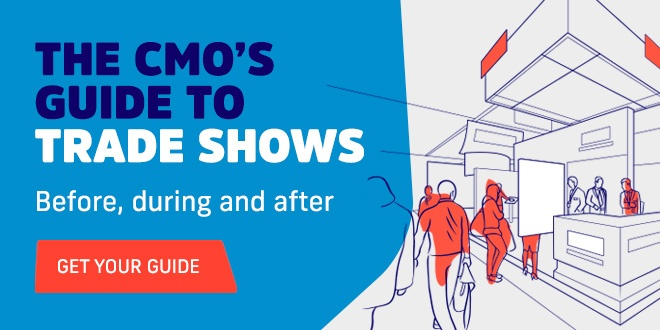 Salesforce users can check out Fonteva’s event management guide to help you choose the best platform for your organization’s needs. To encourage your guests to stay in contact with you after your event has ended, embrace the digital transformation of events! From registration and management software solutions to badge scanners and other lead capture technology, every digital tool should help you stay in contact with key attendees. Want to show your guests just how important they are? Build brand recognition by incorporating merchandise into your event registration. 2. Incorporate merchandise into your event registration. Quality branded merchandise lets your event attendees know that your business values their support. Especially for smaller businesses, merchandise offers you the opportunity to build brand recognition and spread the word outward from your group of core or original supporters to wider audiences. To incorporate branded merchandise into your event, look for event management software that includes ecommerce capabilities. Your customizable e-store will function just like any site on which your attendees do their online shopping. Want to sell branded merchandise in support of your business after your event has ended? Choose software that facilitates the continuation of your e-store. When your platform is native to your CRM, you’ll be able to gather customer information automatically whenever they make a purchase. The first step in getting them to remember you, however, is to get them in the door! Ensure a good turnout by reaching out to your attendees on their favorite social media platforms. 3. Share your event website on social media. Your attendees and potential attendees are almost certainly on social media, so meet them where they are and share your event website, especially the registration page, on popular platforms to reach more guests. Not sure where to share? All of the social media sites on which you currently have a presence, as well as your business’s websie, are important locations for sharing your event information. Make it easy for potential guests to learn all the information they need by sharing your registration page. Additionally, you can create and share your event microsite, a valuable event planning resource that provides your registrants with necessary information about your event. Your event microsite connects guests to your e-store and gets them excited about attending. Remember that some of the most important measures of your event or trade show success include the number of face-to-face interactions you have with your guests and the depth or quality of those interactions. You’re more likely to achieve good results when you reach out to your attendees ahead of time on social media. Once your event winds down, ensure that you follow up with your most promising attendees. While you’ll have individual contact information for these guests and plenty of information automatically transferred to your CRM, it’s always good to encourage your guests to follow or like your business on social media so they can stay updated on your progress. Successful events are all about making the right connections. With an event registration and management system that helps you gather attendee information and a few creative ways to reach out to guests, your next event is sure to benefit your business. This is a guest post by Jake Fabbri, the Vice President of Marketing at Fonteva. With over 18 years of experience working in marketing management, he has experience with lead generation, content marketing, marketing automation, and events. Want to write for Akkroo? Read our guest blog submission guidelines.